Store credit cards are always bad. OK, that's not entirely accurate, but it's true often enough to make it a good starting point for a discussion. On average, credit card rates are way lower than those for store cards. Unless a store card is co-branded with American Express, Discover, MasterCard or Visa (in which case it's really a credit card anyway), you're likely to be able to use it in only a limited number of outlets. So it's highly inflexible. The baubles that are dangled in front of you to persuade you to apply for a store card (one-time big discount, exclusive shopping opportunities and offers, and so on) may glister, but they're rarely gold. 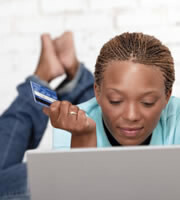 Add up what you can get from proper rewards credit cards, and you may well find you'd be better off with one of those. Many store cards lack key benefits (extended warranties, purchase protection, price protection, rental car insurance cover and so on) that mainstream plastic often offers. And yet, in spite of all these drawbacks, store cards are growing in popularity. Two November reports from Equifax reveal that, in September 2013, there were 183 million of them in the United States, the highest number in four years. And, much worse, Americans are using them to borrow more: Store card debt jumped 7.05 percent in the year ending Sept. 30, while mainstream credit card debt remained essentially flat, growing by just 0.37 percent over the same period. Total store card balances were $56 billion at the end of the third quarter. The number of new store card accounts opened was 24.6 million. You have to go back to 2008 to see that equaled. The number of new store card accounts opened was 8.8 percent higher than over the same period in 2012. The additional credit lines provided by those new accounts totaled $46.6 billion. OK, so far this article has been relentlessly negative about store cards. But some say they're not all bad. For example, blogger Trent Hamm of The Simple Dollar recently published "Some Thoughts on Store-Specific Credit Cards." This post made some good points, although the cards Hamm mentioned in support of his case were actually proper credit cards (they were both Visa) that happened to be store-branded. So when can this plastic be beneficial? When you're a great money manager. The single worst thing about most store cards is their sky-high rates. If you pay down your balance in full every month, you should never have to find a cent in interest. When the sign-up offer suits you. Sometimes the baubles that are intended to lure you into applying for a card are genuinely valuable. If you are going to buy a big-ticket item anyway, and can get 10 or 20 percent off with a new card -- and maybe even an introductory interest-free period -- then why not? When you need to rebuild your credit, and can't get a mainstream card. It's usually easier to get approved for a store card than a proper credit card, and, once you have one, responsible use should see your credit score improve. People kid themselves. What's the betting most of those applying for store cards promise themselves they're going to use the new plastic responsibly? That $56 billion that's currently owed on these cards says a whole lot of them are living in cloud-cuckoo land. There are times when even the best sign-up offer turns out to be very expensive. And that's not just when you don't pay down balances in full every month. Writing in Forbes recently, Caroline Mayer told how she'd saved $40 on a purchase when she was approved for a store card. Trouble is, she was about to refinance her mortgage, and the card application dinged her credit score. It's quite possible to save $40 or $50 in those circumstances, only to find your new mortgage costs you $40 or $50 more -- every month. For many, there are smarter ways to rebuild their credit than a store card. For instance, secured credit cards should have a similar impact on your credit score while providing fewer opportunities to get back into trouble. No, store cards aren't always bad. But, overall, they benefit retailers much, much more than consumers. If you're absolutely sure you can make one pay, by all means go ahead and get one. But think carefully before you apply. A proper credit card could be a significantly better bet. 0 Responses to "Store cards? Proceed with caution"